Francisco Legaz Cervantes, Diagrama Foundation’s President, with one of his cooperation technicians, checked out the different educational, formative and sanitarian projects that are currently being carried out in Region M’bour (Senegal) by the Diante Bou Bess, a local Association with which the Foundation collaborates, and he assessed their progress and the advances achieved. 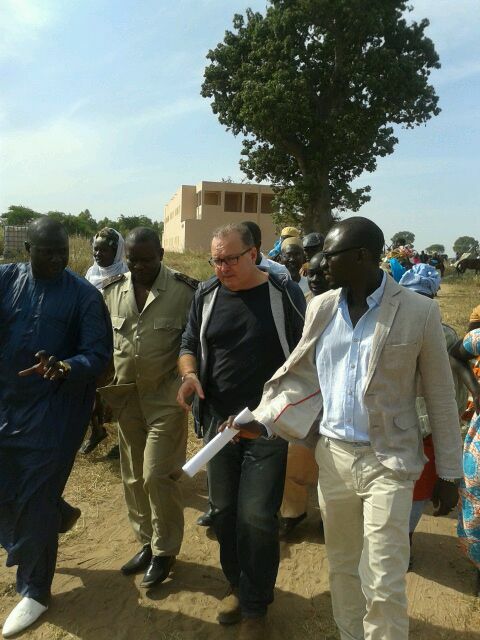 Last December, Diagrama’s President, with professionals from the Foundation as well as from Diante Bou Bess association, visited Senegal for several days in order to assess the development and implementation of the projects that are currently being accomplished in Region of M’bour (Senegal). It is remarkable the activity at the Polyvalent Training Centre (PTC) ‘Gui Gouy’, located in Sandiara (Region of Thiès), which has an agriculture school and a health school, as well as different educational and occupational workshops and a sports school for young people, in collaboration with Real Madrid Foundation. During the visit he could check the good performance at the agriculture school, the great advances at the health care area, the new courses offered at the PTC and the educational reinforcement activities at the local schools. Likewise, the President was really satisfied by the environmental area and the benefits of the natural resources management, including solar panels that cover all the energy needs (even the water extraction from the well built by Diagrama and Diante Bou Bess), a rain-water administration and an ecological treatment for waste, as well as an implemented project for rubbish collection. Diagrama Foundation’s President, Francisco Legaz Cervantes, who visits this programmes regularly, assessed positively the state of the projects, emphasizing above all “the high participation of the population in the programmes”, as so “the great job done by the professionals from Diante Bou Bess and Diagrama, who make it possible to assist over 500 people every year, especially women and children”. Diagrama Foundation has collaborated with Diante Bou Bess for the last two years in raising awarenes and formation, as wess as in specific actions in the educational and the sanitarian areas.